PALMDALE – An apparent transient was arrested Wednesday morning when deputies spotted him in a stolen fireman’s jacket, according to the Palmdale Sheriff’s station. Hipolito Martinez, 49, was booked at 9:18 a.m. on the charge of receiving stolen property. He was also placed on an immigration hold at the Palmdale Station. This morning Palmdale patrol deputies noticed something very strange at the corner of Sierra Highway and Palmdale Blvd. 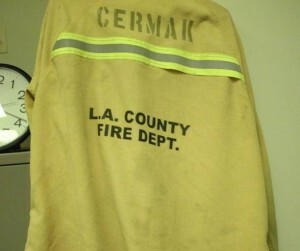 They saw what appeared to be a transient wearing a Los Angeles County Fire Department firefighting jacket. Believing the suspect was probably not a fireman, the deputies contacted Hipolito Martinez. The suspect was indeed not a fireman. He alleged he found the jacket a couple days ago. When asked if he felt it was stolen he responded that he believed it probably was. He was subsequently arrested for receiving stolen property. 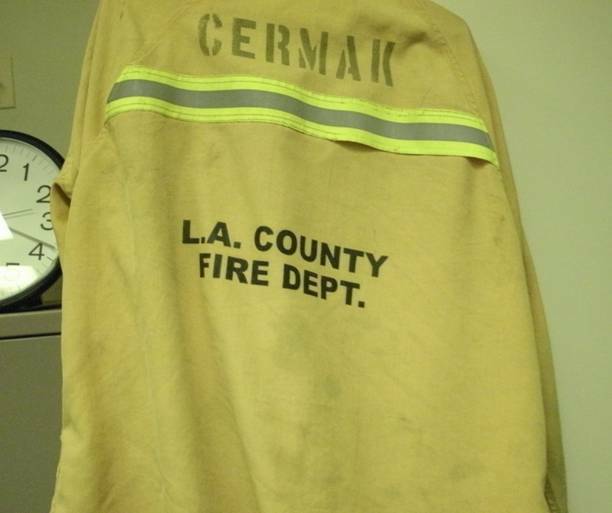 Los Angeles County Fire officials were contacted and confirmed the jacket was stolen off a truck they believe during a call out on Monday, January 30, 2012. The suspect is being held on the charge of receiving stolen property as well as an immigration hold.